In the penultimate round of fixtures, there was always going to be a great deal of excitement. The first set of matches in Round 9 in the 2014/15 Euroleague lived up to all expectations with late winners, overtime battles and plenty of great attacking play. The Friday night games have a lot to live up to this week but there is no getting away from the fact that the Wednesday and Thursday night Euroleague games offered up a great deal of entertainment for basketball fans in Europe and beyond. In the Wednesday night game, the hosts greatly improved their chances of a Top 16 place by defeating their Turkish rivals by 82-72 points. This was the fourth home win for Neptunas, moving them on to a 4-5 record while their opponents slipped down to a 3-6 record. Deividas Gailius was the leading play for Neptunas with 23 points while Mustafa Shakur offered up 16 points while Arnas Butkevicius also picked up 11 points. Galatsaray were bolstered by Zoran Erceg serving up 24 points and Vladimir Micov was able to provide 12 points for the losing team. Neptunas started the stronger and always looked in control although it wasn’t until a fourth quarter dunk by Gailius eased the tension and allowed the home team to relax. The reigning champions left Croatia with a big win and moved a step closer to clinching second spot in Group B of the 2014/15 Euroleague. This moves Maccabi on to a 6-3 record, with an impressive 4-1 record on road while Zagreb dropped down to a 2-7 record. While their hopes look bleak, Zagreb still have a chance of making it to the Top 16. Miro Bilan was impressive at the start, firing the home team to a 15-5 lead but it was the fourth quarter when Maccabi finally came to life. Devin Smith provided 14 points, 4 assists, 6 rebounds and 2 steals in the game. He was assisted by Yogev Ohayon who offered up 13 points and 6 assists while Alex Tyus also provided 13 points, 4 blocks and 9 rebounds. Ran Pilepic was the top man for Cedevita with 22 points while Tomislav Zubic provided 13 points. 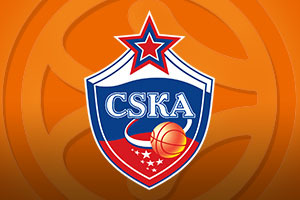 It was a close one, decided with 6 seconds of overtime remaining but a three point play from Nando De Colo ensured that CSKA Moscow move onto a 9-0 record. The Russian team were trailing significantly at half-time but they bounced back to defeat Unicaja who now drop to a 4-5 record. Both teams had already qualified for the Top 16 but you would not have thought this given the way that both teams were really pushing hard for victory. De Colo grabbed 22 points for the winning team with Sonny Weems offering 12 points, as did Andrey Vorontsevich. Unicaja were boosted by 14 points from Caleb Green and Jayson Granger while there was a double from Vladimir Golubovic, who provided 12 points and 10 rebounds. Bayern were already out of the running for a Top 16 place, this this win moved them up to a 2-7 record while dropping Turow to a 1-8 record. It also ended any slim hopes that Turow had of qualifying, which meant that Milan qualified before their game was complete. Heiko Schaffartzik offered up 12 points while Vladimir Stimac provided 12 points and 6 rebounds. There was also a great showing from Dusko Savanovic with 31 points, 2 blocks, 2 assists and 6 rebounds. Nemanja Jaramaz grabbed 16 for Turow, Damian Kulig was close behind on 14 points while Filip Dylewicz grabbed 9 points and 6 rebounds. This game was in the third quarter when news of the score in Munich filtered through, meaning that Milan had qualified to the Top 16. There was still a desire from the Italians to finish the job themselves though, which they did, although it will be a night that Dimitris Diamantidis will want to forget as he missed two free throws with just 0.7 seconds left, missing the chance to tie the match. Daniel Hackett was the main man for the home team with 21 points while Alessandro Gentile grabbed 9 points, 3 rebounds, 3 assists and he also offered 3 steals. Janis Blums provided 13 points for the Greeks while Diamantidis provided 12 points and 11 assists. The Greeks now hold a 5-4 record and the Italians have a 4-5 record but both teams can look forward to the Top 16. Barcelona may have dropped their first game in the 2014/15 Euroleague but they are still favourites to top Group C after the final games. The Catalan side hold an 8-1 record while Fenerbahce move to a 7-2 record but the Barca score difference should ensure they top the group, even if results go in favour of the Turkish side next week. Bogdan Bogdanovic offered 23 points, but Nemanja Bjelica was the star player, taking the game into overtime with a tip-in and then serving up the go-ahead layup with less than 3 seconds on the clock. Marcelinho Huertas offered 25 points for Barcelona, DeShaun Thomas provided 23 points and Justin Doellman and Mario Hezonja both provided 12 points.